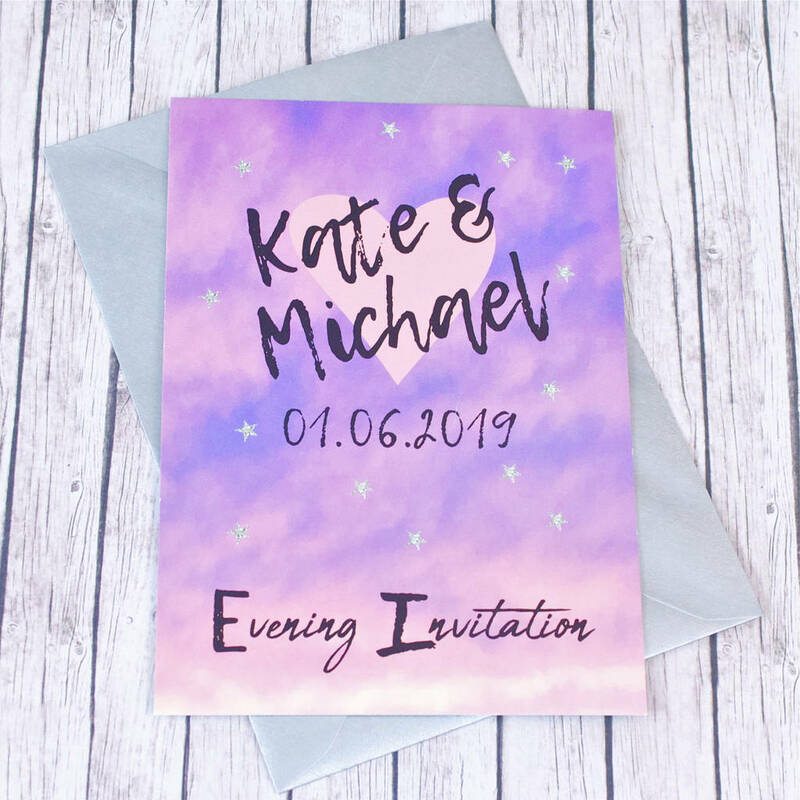 A unique wedding invitation from our contemporary Sunset Lovers wedding stationery collection. 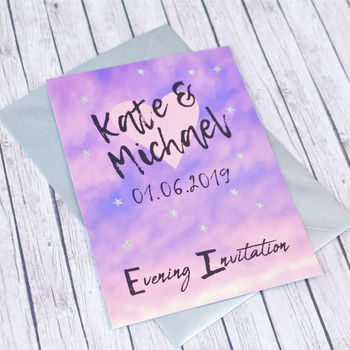 All Sunset Lovers stationery comes complete with your choice of white hammered, brown kraft, gold or silver envelopes and each invite arrives in an individual cello bag. 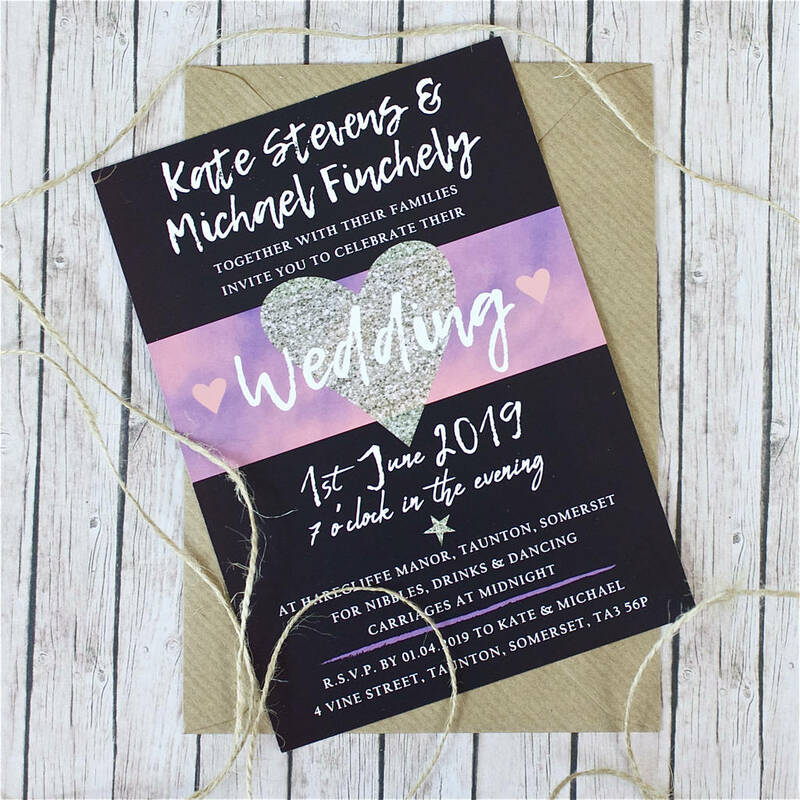 This A6 size invitation contains all your essential wedding details printed on the back and is suitable for day or evening Invites - the black background can easily be changed to white if prefered, please see our wedding invitation bundle for photographs. 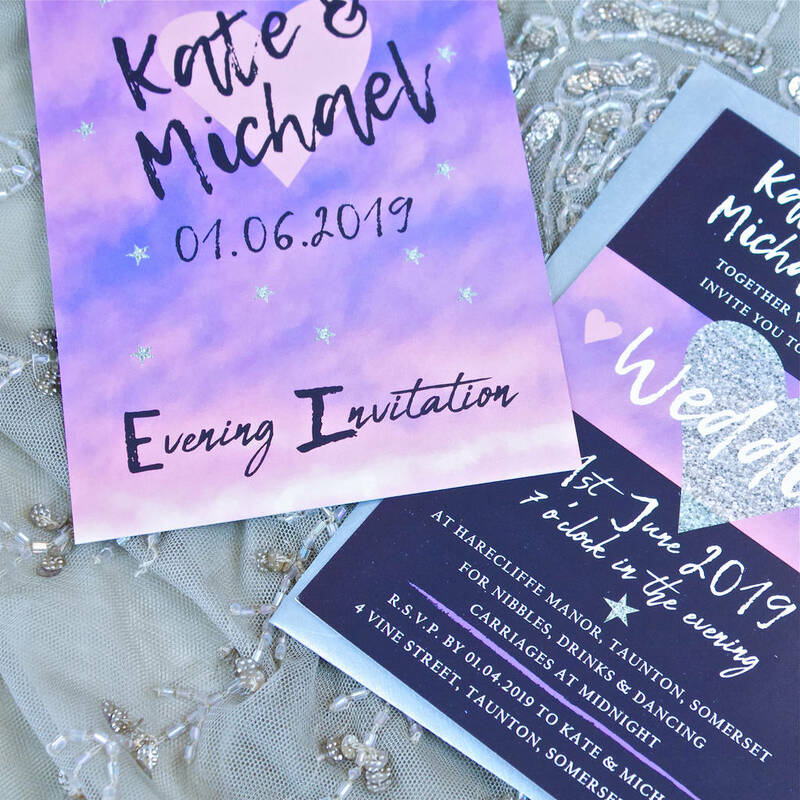 We can design your bespoke wedding stationery package just for you, for example if you love the invite but need a reply card or an extra info card or prefer personalised with guest names or in a larger size. Get in touch proir to ordering and we can discuss options and prices. Discounts are available on larger orders and when buying several items. 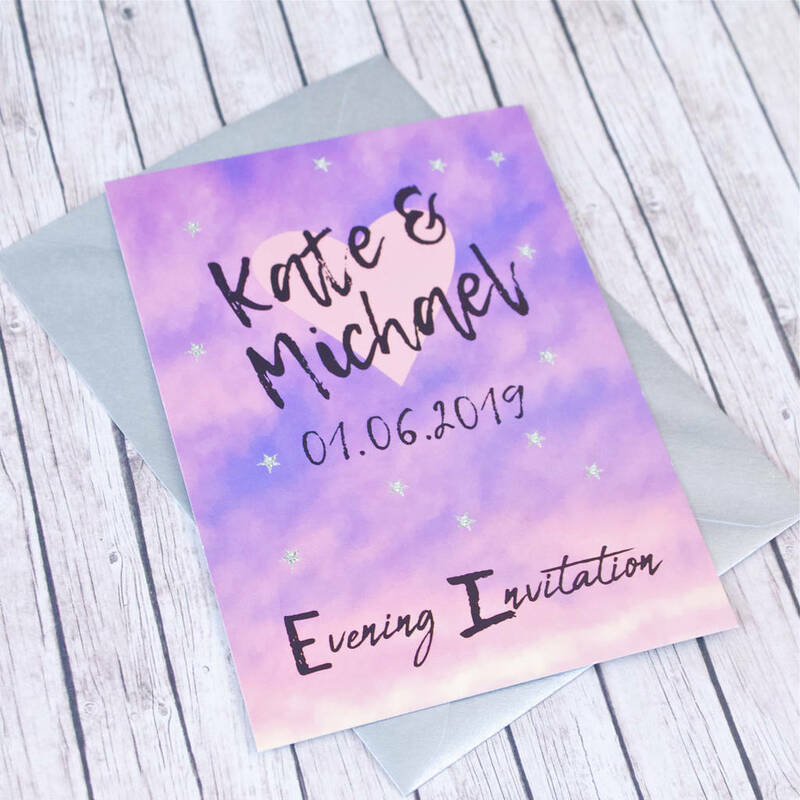 Also available in the Sunset Lovers range is a Wedding invitation bundle, RSVP cards and save the date options, please see separate product pages, samples of each are included in your full sample pack. 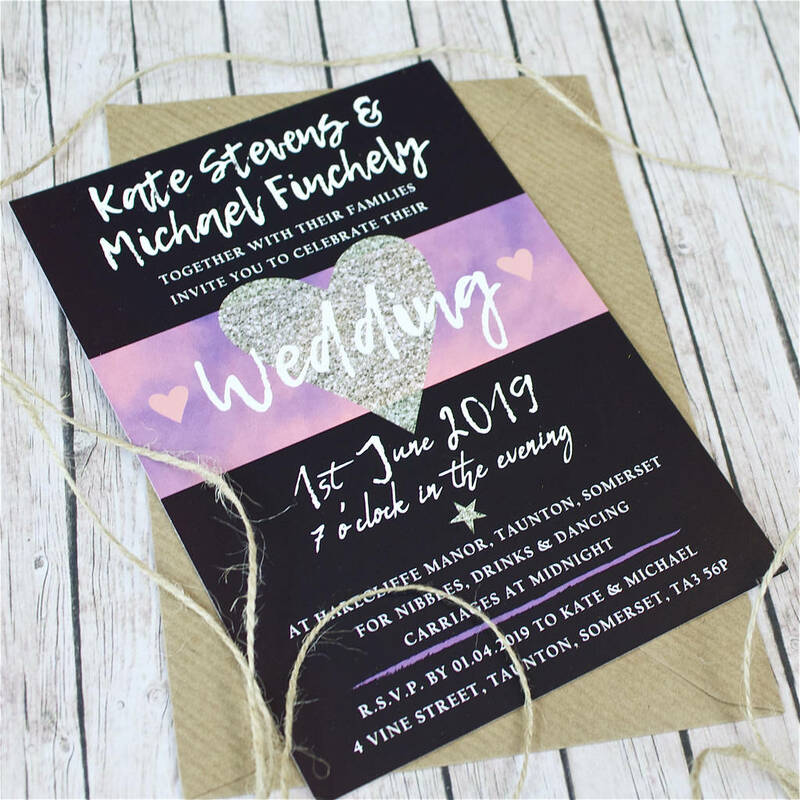 Please note we offer a full range of stationery including order of service, place cards, envelope stickers, menus, table plans etc - please enquire for details - there are to many options to include here and we love to put a bespoke package together for your wedding!